Technology will create transparency at the workplaces, it will be difficult for HRs to perform the balancing act. 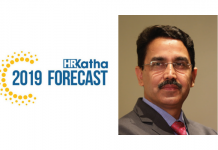 Chandrashekhar Mukherjee, Srei infrastructure finance limited for HRKatha 2019 Forecast. 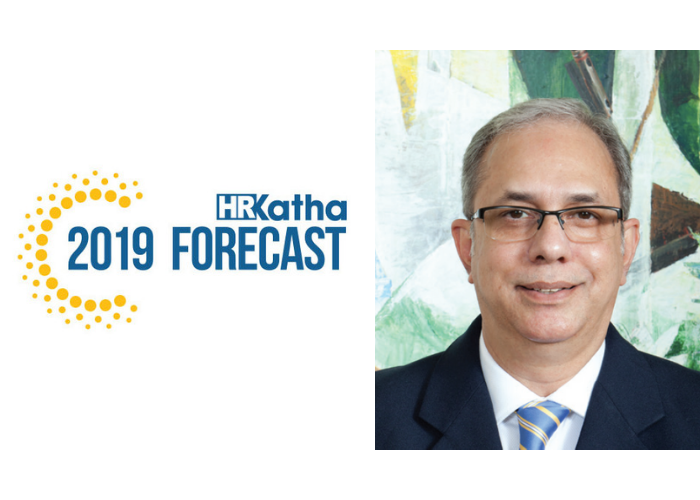 With the advancement in technology and with the help of AI and tools such as machine learning, HR will have more data in hand. While this will make HR more relevant and powerful, there is also another side. The challenge for HR in such a situation will be to have a personal connect with its people. For instance, when you interact with close friends on messenger you feel good about it, when you video chat with them you feel even better, but when you meet them in person, that is the best feeling. This is the kind of relation that employees seek from HR. They look forward to face-to-face interactions. The HR has to create a balance between the kind of interactions and the feedback system. 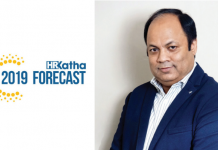 While technology advancements are good, HR needs to believe in the instincts at the same time. 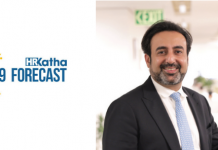 With costs rising and profits shrinking in the financial and banking sector, the biggest challenge for HR will be to not just attract relevant talent but to retain them in the organisation. The other big challenge will be to engage and motivate people. Yet another challenge will be to re-skill and up-skill people in the organisation. It is very important to identify the future competencies people will require. We are trying to re-skill and reposition our employees keeping in mind the kind of roles that will be automated and rendered redundant. We have put in place a ‘Five Year Plan’ focused on re-skilling and up-skilling our employees. We are identifying the areas and roles, which will be automated and setting up platforms, such as online learning and classroom learning for the staff based on the results. Calculating the strengths and weaknesses of the employees and making them realise the same is the first step in this direction. The new rule for a diverse workforce is that every employee should be given equal opportunity in the organisation. We will have to deal with people on the basis of merit and only merit. There should be no discrimination on the basis of gender, whatever the role or function may be. This also means giving equal opportunities to the third gender as well. My personal belief is not putting numbers in diversity. Everybody should be hired on merit, irrespective of their gender. No discrimination should take place on the basis of cast, gender or religion. There should be customised policies made for different people belonging to different stages in life— for instance, flexible working timings and leaves for single mothers, pregnant women and people belonging to various religions and generations, and so on. The basic mantra is to not be rigid and stick to same policies. We have to be flexible while considering the business parameters because there are some roles, where flexibility cannot be provided. The human resources department forms the bridge between the employees and the employer. Therefore, HR has to be among the team; it has to command respect and trust to be able to become the bridge between the employees and the employer. HR can only come closer to the people if it has the right kind of attitude, such as understanding the people and being firm at the same time. The HR needs to lead by example. More data in hand will mean appropriate and accurate decision making and reduction in errors. While it can certainly not eliminate the element of making mistakes, it can definitely reduce it. There will be bias and human errors, but these can be minimised with the help of technology and innovation. The challenge in this case will be that with more transparency in the system, it will become more difficult for HR to perform the balancing act, for which it will need the right skillsets and knowledge.